While we are getting to see a number of new Windows Phone 8 handsets being released by Nokia at various price levels, the company has recently re-launched its Asha series of handsets with the Nokia Asha 501 leading the way with users explaining the excitement about the new handset. The Nokia Asha 501 was launched last week by going on sale in a number of regions and is available at a really low asking price. The colourful handset despite its price still has a lot of things to offer owners with its all new user interface, but the guys over at Nokia Conversations asked its readers what got them excited about the handset. There were a lot of replies with many liking the bright colours that the handset is available in along with the great length of battery time the handset offers with many saying it lasts forever on a single charge. 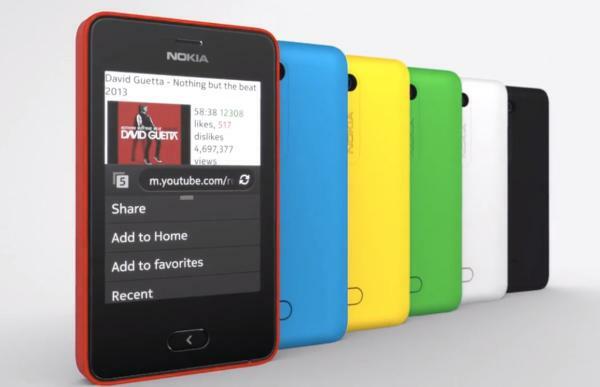 Many mentioned the new MeeGo operating system with super fast Internet and clear touchscreen display, and the Nokia Asha 501 proves not everyone wants a smartphone with a 5-inch display or bigger as there was a number of positive comments on the size of the handset, and it being ideal to slip into a pocket. To quickly recap the Nokia Asha 501 features a 3-inch touchscreen display with a resolution of 240 x 320 that is fitted onto a handset that only weighs 91grams. There is also a 3.2-megapixel rear facing camera with 64MB of internal storage that can be expanded by a further 32GB via microSD card, and that battery life is promised to last up to 17 hours for talk time and up to 1152 hours of standby. Have you already purchased the Nokia Asha 501?